Description: Greenwald Realty & Property is a business categorized under real estate, which is part of the larger category real estate agents & managers. 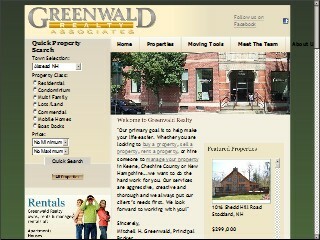 Greenwald Realty & Property is located at the address 55 Main St in Keene, New Hampshire 03431-3713. The Owner is Mitchell Greenwald who can be contacted at (603)357-3035. Location & access map for "Greenwald Realty & Property"